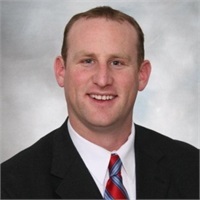 Andy Jansen, a Partner and Investment Advisor Representative with Central Financial Group. I started in the business in 2009 working out of the First American Bank in Roland, Iowa. In 2011, my wife Amy and I took over all Financial Services at the First American Bank in Ames, IA, which transitioned to an independent office in Huxley in 2013. 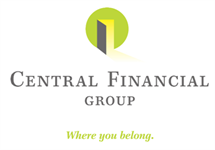 In August of 2014, I became a partner in Central Financial Group. I graduated from the University of Iowa with a BA in Business Finance in 2002. I currently hold the FINRA Series 7, 6, 63, 65 securities registrations along with a Life and Health, Crop and Property and Casualty Insurance licenses. My passion is working alongside clients to provide the resources they need to assist them in reaching their financial goals. My focus over the past 9 years has been primarily in the areas of Retirement Planning, Estate Planning and Business Succession Planning strategies. Born and raised in Bancroft, Iowa; I quickly learned the value of hard work and accountability by running my own lawn care company as well as working on a local farm. In high school, I participated on the Baseball, Basketball and Golf teams and was fortunate enough to play baseball for 4 years at the University of Iowa. My life experiences, along with my Financial Education, helped create drive to allow me to deliver value to each of my clients. I am married to my beautiful wife, Amy, who is originally from Kansas City and in the business as well. We reside in Algona, Iowa with our three children; Jordan, Jackson and Jace. In my free time, I enjoy hunting, fishing, attending sporting events and spending time with family and friends.